Zermatt is a ski resort situated in the high Walser region. This village became famous in 1865, thanks to Edward Whymper, who launched the first expedition to reach the top of Matterhorn (elevation: 4,478 metres; also known as Monte Cervino in Italian and Mont Cervin in French), which today is the village’s symbol. As a result, numerous audacious tourists rushed to the mountains surrounding Zermatt to take up the challenge, while at the same time they greatly contributed to the development of the region’s economy. 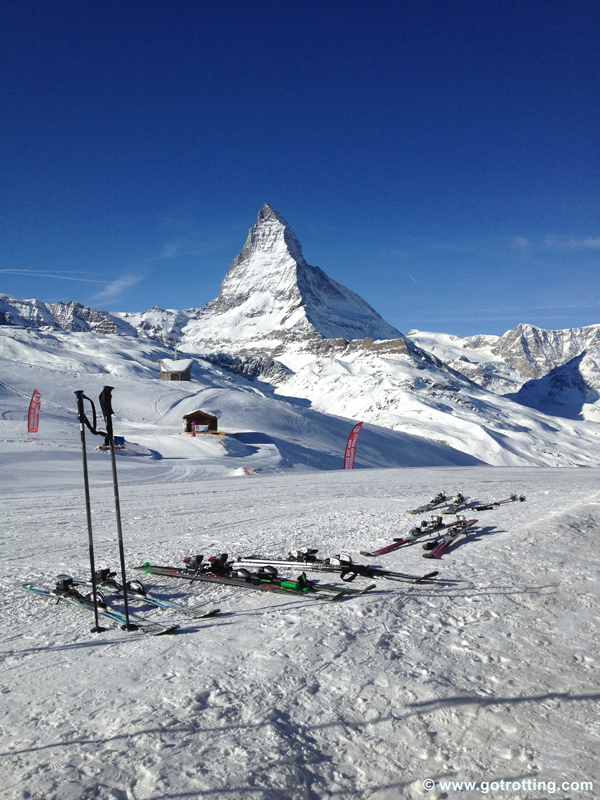 Zermatt is nowadays a luxurious resort, well known throughout the world for its ski facilities in winter and summer! 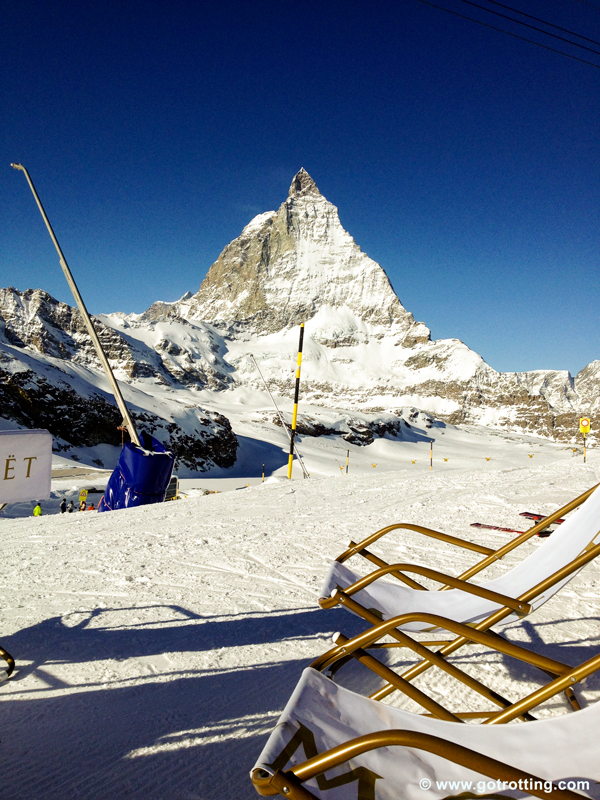 By nice weather, the centre of the village offers an amazing view of Matterhorn. For that matter, only electric vehicles are allowed to drive in the region, so that this clear astonishing view is not harmed by air pollution. Keep in mind that Zermatt is not just an ordinary ski resort in the heart of the Swiss Alps, but a meeting place for the Swiss jet-set and wealthy foreign tourists. The main street is the Bahnhofstrasse, on both sides of which lay luxurious boutiques. The local language is the Walliser German, but everybody speaks German, French and English in the village’s hotels and shops. The town of Zermatt is the perfect destination for a long weekend of winter. 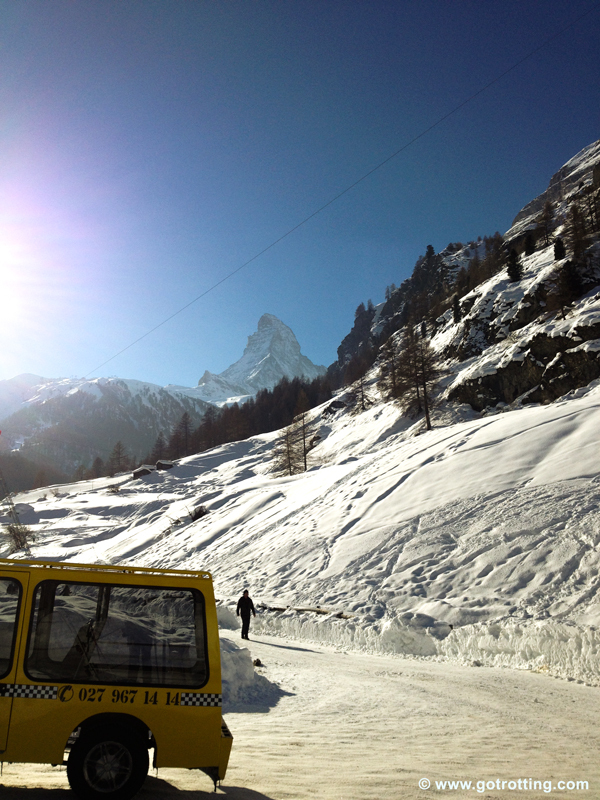 Unlike other ski resorts, Zermatt’s centre is easily reachable by train. Right next to the train station, there is a place, where you can buy your ski pass, before heading to your hotel or apartment, allowing you to skip the queue the next morning. Once you are ready to surf the slopes, electric buses will bring you to the ski lifts. At Furi, you can change lift to Riffelberg and, later on, another chairlift will take you to Gifthittli, where you can enjoy easy blue and red slopes that are as wide as motorways! At the top of the Gornergrat, one can see the final station of the Gornergratbahn railway, at 3,089 metres elevation! An igloo village stands on one of the blue slopes, where one can spend the night. From Riffelberg, it is possible to ski to Furi on a long red slope and then at Furi you can join Zermatt by catching the lift that takes you right up to the bus stop. The ski lifts to Furggsattel head to the Italian part of the Alps. 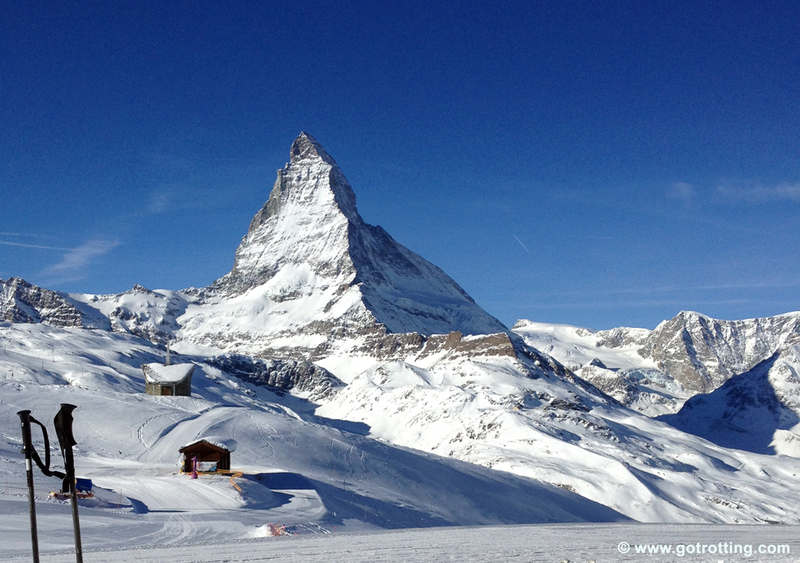 Once there, you may as well enjoy a nice meal at the south side of the Matterhorn, before returning to Zermatt. 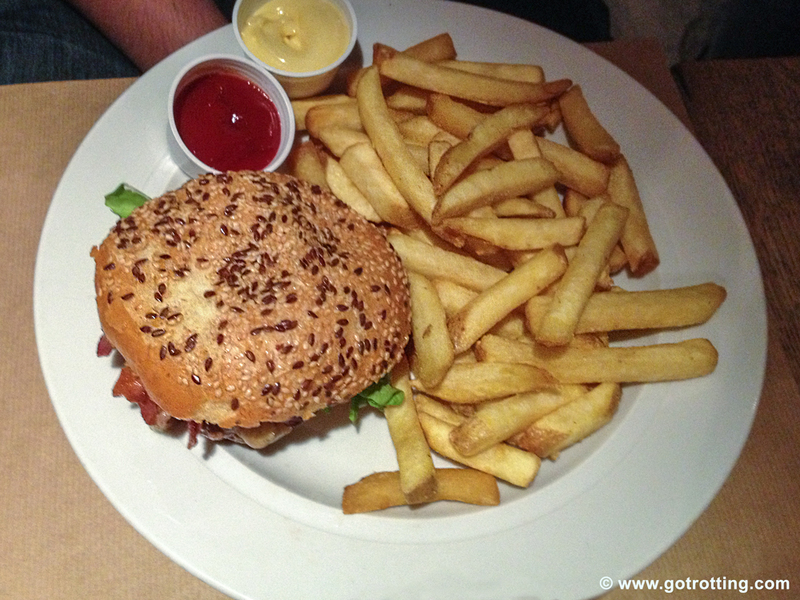 In Zermatt, if you want to eat for less than 20 Swiss Francs, the Unique Hotel Post owns the Brown Cow Pub at the Bahnhofstrasse street, serving succulent burgers and French fries. If you are on a higher budget, you can simply choose one of the numerous restaurants in the heart of the town, offering typical Swiss dishes, as well as French and German cuisine. At the end of an intense day on the mountain, all skiers like to stop for an “après-ski” (after-ski) drink in one of the numerous bars in the town or the ski centre. The Papperla Pub in Kirschstrasse street is quite famous. You can enjoy their live music, while drinking a refreshing beer!